Free, hands-on workshop featuring Microsoft’s Inclusive Technologies for Assistance in Reading and Writing. Two dates: October 20 & 24. Free, one-day College Conference specifically for students with learning disabilities, their families and allies. Hosted by Let’s Talk LD and Summit View Schools. Join a conversation with Maryanne Wolf as she discusses her new book, Reader, Come Home: The Reading Brain in a DIgital World. This event is free to the public. A conference promoting greater understanding of Literacy and learning issues for parents and teachers. Conference has sessions on dyslexia for parents, teachers, educational therapists and others. Also available sessions on specific strategies to help ALL students learn to read and spell more efficiently. For more details, click on "more information" below. There is a charge for the conference. Also available - an exhibit hall with vendors with materials to sell, private schools, and programs available. This hall is open to the public at no charge. Saturday, March 17, 2018 - registration begins at 7:30 am. Meet other parents, ADHD specialists, and educators. Support CHADD in achieving its mission. Discover ways to help your children thrive. Our guest speaker will be Jeri Rochman, Parenting Educator. The evening should be informative and helpful as we tap into Jeri’s experience as a counselor and educator. I first met Jeri at Westmark School and was instantly soothed by her calm support and positive approach to working with children with ADHD. Come with questions, ready to learn! Bridges Academy is located one block south of Ventura Blvd. From Laurel Canyon, turn right on Maxwelton and right into their parking lot. There is plenty of parking available. Questions? – Please e-mail us. Children and Adults with Attention-Deficit/Hyperactivity Disorder (CHADD), is a national non-profit, tax-exempt [Section 501(c)(3)] organization providing education, advocacy and support for individuals with ADHD. CHADD does not endorse, recommend, or make representations with respect to the research, services, medication, treatments or products. Please join us and bring your questions, concerns, share resources, and information about Dyslexia. This will be the first of what we hope will be monthly meetings. This group will serve as a way to share our experiences and keep educating ourselves on the latest research and remediation for Dyslexia. The Dyslexia and Literacy Conference Series brings researchers and practitioners together, from across North America, for a one day conference. October 7, 2017 | 9:00 a.m. until 5:00 p.m.
A College Conference of this type is long overdue. It is designed specifically for students with learning differences, their families, educators and educational professionals, and allies. We have come a long way in making sure students with disabilities enroll in college, but there is still much work to do. 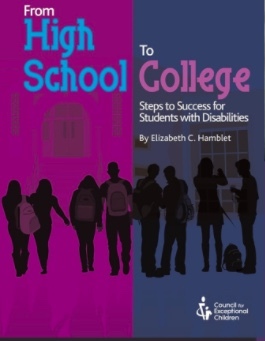 It is important for families, educators, and involved professionals to know about the changes in disability services at the college level and what supports and skills can help students be successful. Come hear college transition experts speak on important topics, such as building effective social-emotional and self-advocacy skills, college financing, available accommodations and support services at college, how to find the right fit, and hear from current students about their experiences. This will be an inspiring, informative day!